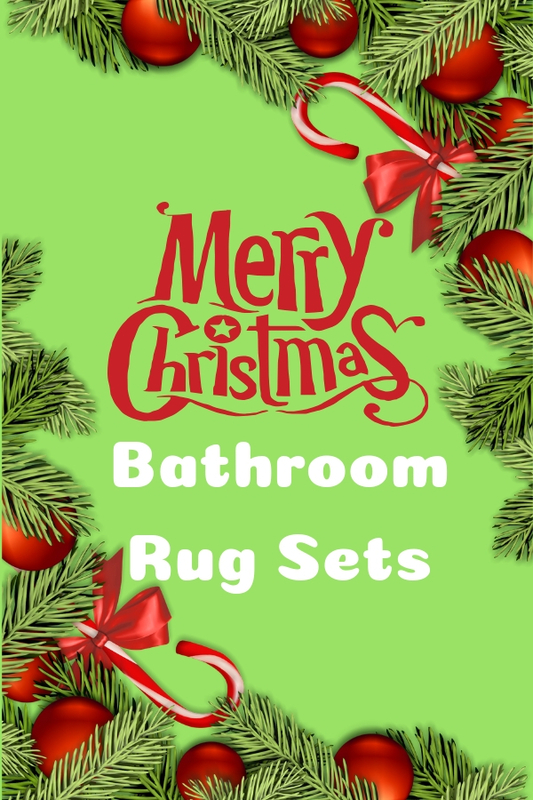 Keep away the blood splatter bath mat when step in December and replaced with one of these Christmas bathroom rug sets for adding touch of joyful holiday spirit in your shower room and toilet. Each set contains a carpet, toilet floor contour rug and lid cover. They bring cheerful and happiness to a boring washroom. Among these 3 pieces, the cover is used to decorate the toilet seat lid whereby the other two pieces reserve their practical function as an ordinary floor carpet. They come with skid-resistant rubber back. So you can also place the rectangle carpet in front of main door or entryway. Most of them are made out of flannel and give a soft feeling when step on it. Better still, this durable fiber could dry fast and it won’t create a weird smell in your washroom. Pick the red one with gold words for sending holiday greeting to every guest and family members whenever they step in toilet. Alternatively, choose the one with fun design such as Santa Claus hugs a snowman to embrace the joyful festival during the year end holiday.